All 1″BSP Screw-in-Immersion Heating Elements are single elements in either the ‘U’ shape or ‘Foldback’ form. These stock elements come in wattages of 1000W to 4800W 240V. You can also order custom made elements if you can’t find what you are looking for here. Dog Wash (Hydrobath) Heating element 1200W 240V, 235mm Immersion length. Has thermowell pocket for heat controller. 1 1/4″BSP Threaded Head. Spare Element for Dog Wash appliances. Hydrobath / Dog Wash Heating Element 1800W 240V. 1 1/4″BSP threaded head. These elements have built in thermowell pocket for temperature thermostat and are used in Aussie Pooch and other mobile Dog Wash baths. This element is 230mm in immersion length. Dog Wash (Hydrobath) Heating element 1800W 240V, 230mm Immersion length. Has thermowell pocket for heat controller. 1″BSP Threaded Head. 1″BSP 1000W 240V 270mm Immersion heating element. 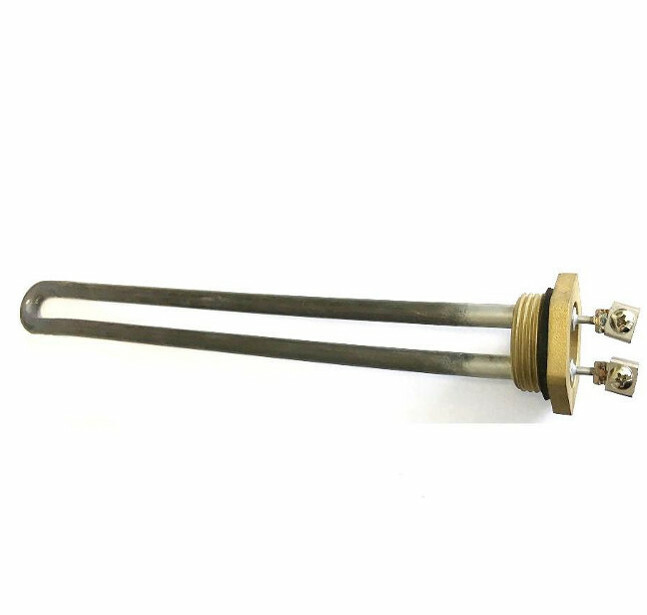 1″BSP 1000W 240V 270mm Immersion heating element. 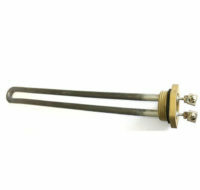 This heating element has a sheath made from high grade Incoloy 800 and a 1″BSP brass head to screw in to tank. Note: if you require a thermowell pocket for a thermostat, please indicate this on your order, as most 1”BSP immersion elements do not come with a standard thermowell. 1″BSP 1200W 240V 280mm Immersion heating element. 1″BSP 1200W 240V 280mm Immersion heating element. This heating element has a sheath made from high grade Incoloy 800 and a 1″BSP brass head to screw in to tank. 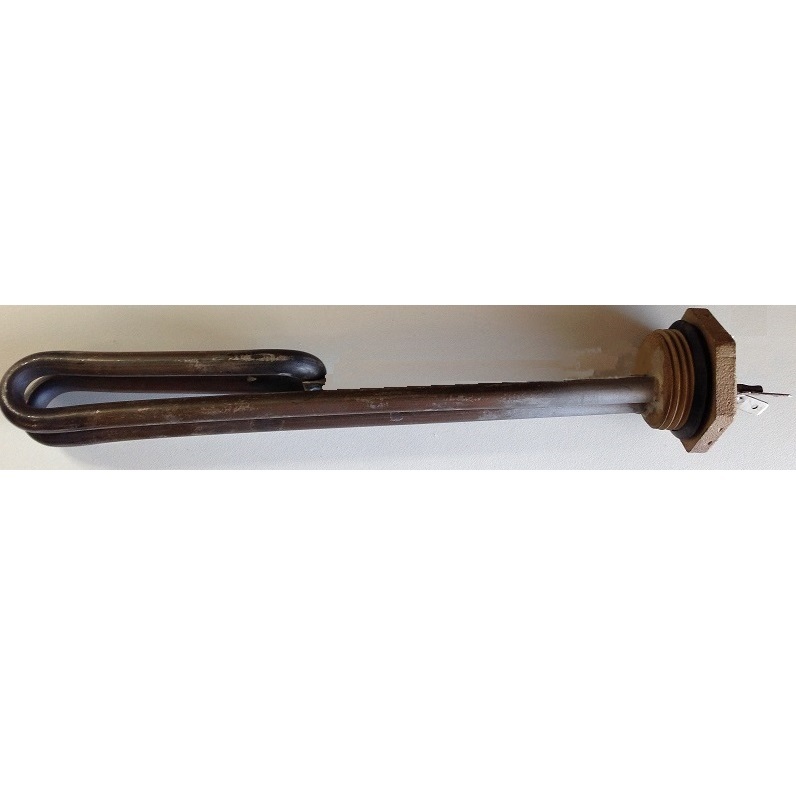 1″BSP 1500W 240V 295mm Immersion heating element. 1″BSP 1500W 240V 295mm Immersion heating element. This heating element has a sheath made from high grade Incoloy 800 and a 1″BSP brass head to screw in to tank. 1″BSP 1800W 240V 200mm Immersion heating element. 1″BSP 1800W 240V 200mm Immersion heating element. This heating element has a sheath made from high grade Incoloy 800 and a 1″BSP brass head to screw in to tank. 1″BSP 1800W 240V 230mm Immersion heating element. 1″BSP 1800W 240V 230mm Immersion heating element. This heating element has a sheath made from high grade Incoloy 800 and a 1″BSP brass head to screw in to tank. This particular heating element comes with a thermowell built in and is mostly used for DOG WASH/BATH applications. 1″BSP 2000W 240V 215mm Immersion heating element. 1″BSP 2000W 240V 215mm Immersion heating element. This heating element has a sheath made from high grade Incoloy 800 and a 1″BSP brass head to screw in to tank. 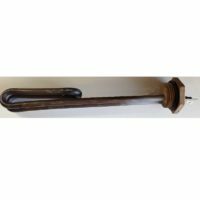 1″BSP 2400W 240V 245mm Immersion heating element. 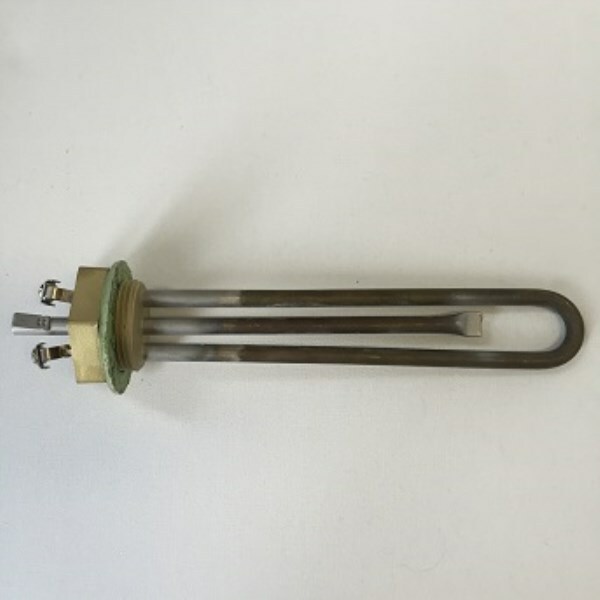 1″BSP 2400W 240V 245mm Immersion heating element. This heating element has a sheath made from high grade Incoloy 800 and a 1″BSP brass head to screw in to tank. 1″BSP 3000W 240V 295mm Immersion heating element. 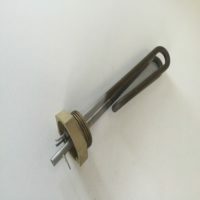 1″BSP 3000W 240V 295mm Immersion heating element. This heating element has a sheath made from high grade Incoloy 800 and a 1″BSP brass head to screw in to tank. 1″BSP 3600W 240V 305mm Immersion heating element. 1″BSP 3600W 240V 305mm Immersion heating element. This heating element has a sheath made from high grade Incoloy 800 and a 1″BSP brass head to screw in to tank. 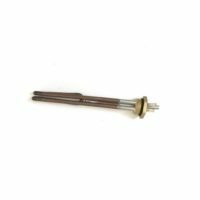 1″BSP 3600W 240V 255mm Immersion heating element. 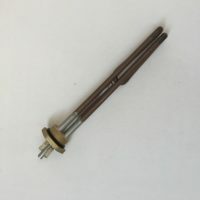 1″BSP 3600W 240V 255mm Immersion heating element. This heating element has a sheath made from high grade Incoloy 800 and a 1″BSP brass head to screw in to tank. 1″BSP 4800W 240V 305mm Immersion heating element. 1″BSP 4800W 240V 305mm Immersion heating element. This heating element has a sheath made from high grade Incoloy 800 and a 1″BSP brass head to screw in to tank. 1″BSP 500W 240V 127mm Immersion heating element. 1″BSP 500W 240V 127mm Immersion heating element. This heating element has a sheath made from high grade Incoloy 800 and a 1″BSP brass head to screw in to tank. 1″BSP 700W 240V 140mm Immersion heating element. 1″BSP 700W 240V 140mm Immersion heating element. This heating element has a sheath made from high grade Incoloy 800 and a 1″BSP brass head to screw in to tank.